"The hardest working Belgian might very well be Olivier Grégoire aka Kolombo, a man with more releases under his belt than a dog has hair and a long-standing contributor to the electronic dance music scene. Having gone through nearly all stages of the industry - including DJing, producing, promoting parties and the founding of a label –, he amassed an invaluable skill set allowing him to craft masterful tunes for distinctive floors. 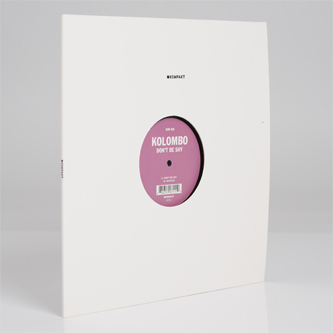 Case in point is Don’t Be Shy, Kolombo’s new 12“ on Kompakt holding what can be considered his finest work to date…"